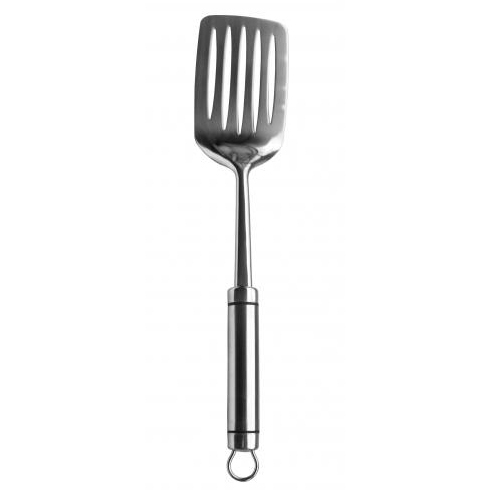 Slotted Turner | Kitchen Tools(KEB-204) - Keywood International Inc.
Our all stainless steel slotted turner is the ideal for flipping and moving food that requires delicate care. Suitable for use on fish, eggs, sauteed vegetables. The slots allow for excess liquid such as fat and oil to drain. The handle has a slot for hanging when not in use. The slotted turner is made of high quality stainless steel for durability and high-lustre shine.